Due to the inclement weather conditions, the intensity of shelling and combat activity on the part of Russian-terrorist forces in Donbas has somewhat reduced. Nevertheless, the terrorists are using small arms, 82-mm mortars, grenade launchers, anti-tank missile systems, ZU-23-2 anti-aircraft systems, heavy mortars, as well as 120-mm mortars that, according to the Minsk Agreements, should have been withdrawn from the line of contact. During the last two days, we also observed one instance of the use of rocket artillery by the insurgents (in the vicinity of Sokilnyky). The enemy fire was the most intense in the Donetsk, Luhansk, and Seaside [Mariupol] sectors. In particular, the insurgents used 120-mm mortars in an attempt to defeat the advance positions of Ukrainian troops near Lebedynske and Shyrokyne). Simultaneously, terrorist personnel and equipment in the vicinity of these settlements were actively regrouping, and reserves have been pulled up from the direction of Bezymenne. During the last two days, Russian-terrorist troops were also active in the Artemivsk direction, in the area of Luhanske [settlement in Donetsk oblast; not to be confused with the city of Luhansk] and Troitske. In this sector, the enemy is using small “infantry” groups (sometimes supported by 1-2 tanks) that fall back to their initial lines when Ukrainian troops return fire. In the area of Opytne, the terrorists opened intense fire from heavy machine guns, twice (from several positions at once), and used a ZU-23-2 anti-aircraft system against the positions of Ukrainian troops. The insurgent command believes that the current dislocation of Ukrainian troops in this sector is restricting Russian-terrorist formations on the Pisky – Krasnohorivka stretch (a similar situation is observed in Avdiivka, where the insurgents also continue their efforts to “squeeze out” Ukrainian troops from their positions). Four tanks, accompanied by two army trucks, two infantry fighting vehicles BMP-2, and a BTR-70 armored personnel carrier, were seen transferring to an area southwest of Horlivka. Two “fresh” mortar batteries were spotted in the Petrovskyi and Kuibyshivskyi districts of Donetsk (one employing 120-mm mortars, and the other, 82-mm mortars, for a total of 12 units). The mortar units arrived from the vicinity of Makiivka. The combat activity of Russian-terrorist troops (primarily units that are part of the “Prizrak” [“Ghost”] gang) continues to increase in the Luhansk – Pervomaisk sector. Namely, small mobile terrorist groups continue their attempts to infiltrate through the gaps between the positions of Ukrainian troops. 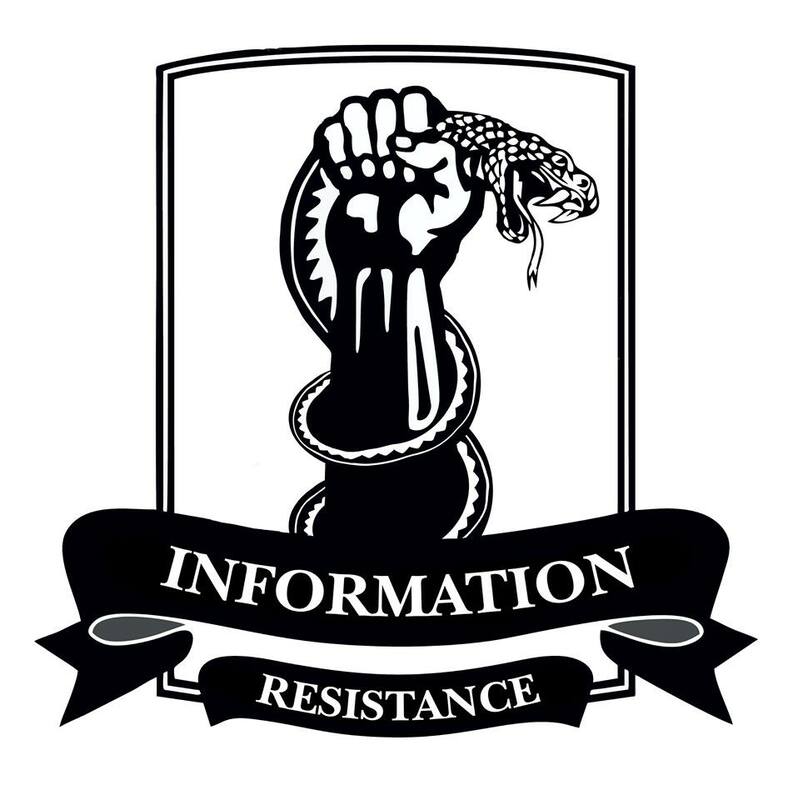 The terrorist formations concentrated on the Pervomaisk – Stakhanov stretch continue being reinforced and resupplied. A convoy of six BMP-1 and BMP-2 infantry fighting vehicles, two BTR-80 APCs, and two specialized vehicles (command and control vehicles equipped on board of Ural trucks) proceeded northwest through Alchevsk. The enemy continues fortifying and entrenching the artillery firing positions in the vicinity of Chornukhyne and Alchevsk. 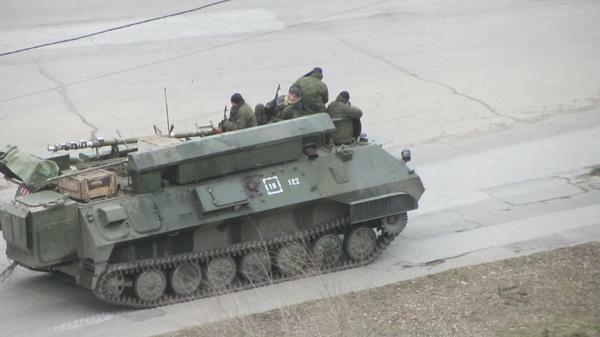 Six Grad BM-21 multiple rocket launcher systems have been spotted moving towards Stakhanov. The enemy is carefully camouflaging the artillery positions and improving their approach routes. In the vicinity of Kryakivka, Krymske, and Sokilnyky, the terrorists shelled the positions of Ukrainian troops several times during the past 24 hours, attempting to push the ATO forces from their positions near the Bakhmut motorway. On the Dokuchajevsk – Stepne stretch, the enemy has deployed two battalion tactical groups, as well as several smaller groups (each of them up to a platoon in strength, mainly the remaining members of the “Kalmius” gang). The total enemy strength in this area is some 1100 – 1200 personnel, 28 tanks, and 42 armored combat vehicles. The insurgent artillery on this stretch has been somewhat pulled back, to an area behind Starobesheve. The tank units of these BTGs are mainly employing T-72 tanks of various modifications. These BTGs are separated into a number of separate units, different in number and composition (namely, company tactical groups on the basis of tank units, and infantry units without armored vehicles). The units deployed in this sector will be following the orders of the single command point set up near Starobesheve. A “rotation” of the gangs is underway in the Seaside [Mariupol] sector. Some of the insurgents previously stationed north of Shyrokyne have been moved towards Novoazovsk. They were replaced by an armored group consisting of three tanks and four ACVs (advanced towards Shyrokyne), which was later reinforced by 70-80 personnel with mortars and mounted grenade launchers, delivered by truck. Russian-terrorist troops continue increasing the combat potential of their units with deliveries of resources and supplies from Russia. Over the last 24 hours, approximately 28 vehicles were spotted making these deliveries (mainly along the “northern” route). Large shipments of resources and supplies are being sent from the direction of Luhansk and Lutuhyne, as well as through Krasnyi Luch, towards Debaltseve, Stakhanov, and Pervomaisk. The enemy continues repairing railway tracks between Donetsk and Luhansk (a “test” electrical train was sent along the track), and works to increase the capacity of this railway section.